“The Rohingya people struggled a lot in Myanmar. Now they live in a refugee camp and their living conditions are dire. I want to share in their pains and problems. “The Rohingya people struggled a lot in Myanmar. Now they live in a refugee camp and their living conditions are dire. I want to share in their pains and problems. 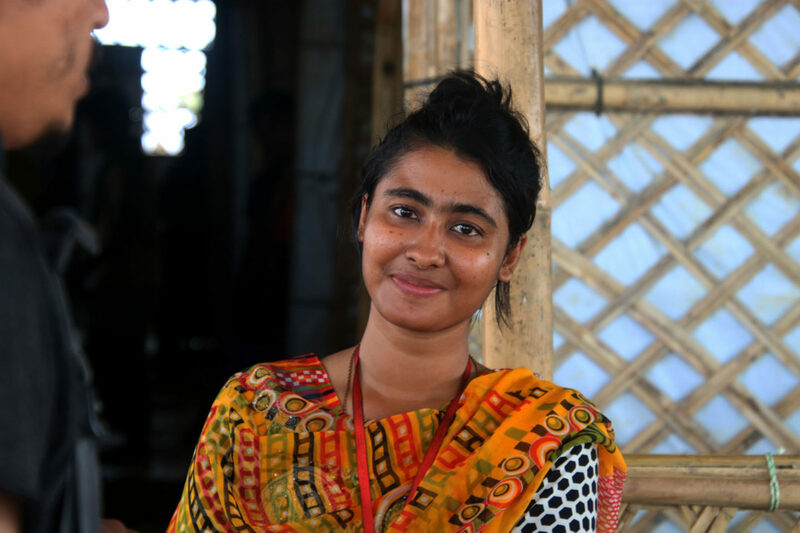 That’s why I serve them as a midwife with Medair,” recalls 23-year-old Jesmin, who works five days a week in Medair’s health clinics in Kutupalong, the world’s largest refugee camp in Bangladesh. Jesmin began working with Medair seven months after large-scale violence in Rakhine State in Myanmar led to a mass exodus of Rohingyas. Exhausted, traumatised, and with very few belongings, more than 720,000 refugees streamed into Bangladesh, a developing country with more than 163 million people living in an area one-third the size of Spain. As the global refugee crisis is intensifying, many countries are closing their borders, leaving the most vulnerable trapped in violence and uncertainty. Bangladesh did the opposite and opened its borders when the Rohingya fled in a desperate search for safety. To me, Jesmin reflects the admirable hospitality that many Bangladeshi express to the Rohingya refugees. Instead of working in an air-conditioned hospital, Jesmin goes the extra mile to walk alongside the Rohingya who have lost so much. Often, she and her team have to spend up to three hours per day on the road, driving to and from the refugee camp, and walk a long way in the scorching sun or pouring rain to reach our farthest clinic in one of the camp’s extension sites. While seeing patients, not only does she provide medical care but she also takes the time to listen. “The people have been through a lot and there are so many stories that they tell us. I am very happy that they can share their often difficult experiences with us. I love them very much,” says Jesmin, talking fast and gently smiling. I am concerned about the future of the Rohingya refugees, as a long-term solution to the crisis doesn’t seem to be around the corner. 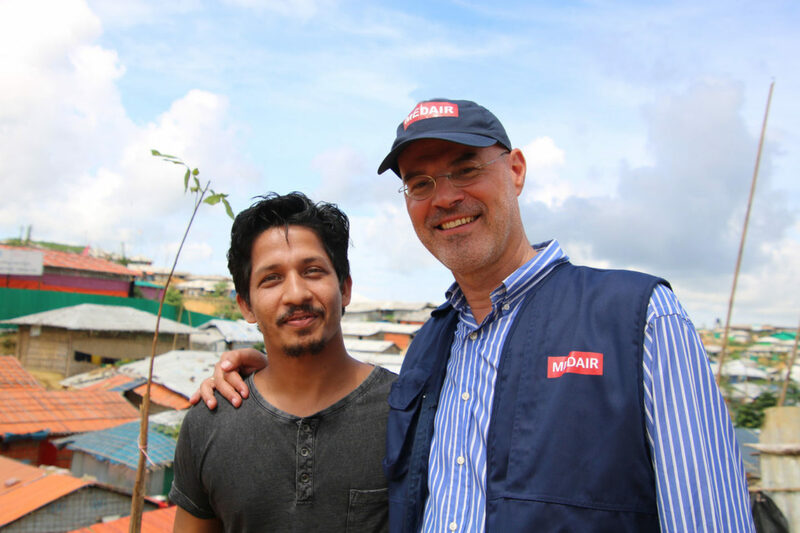 At the same time, I am extremely encouraged by seeing our staff in action in Bangladesh. 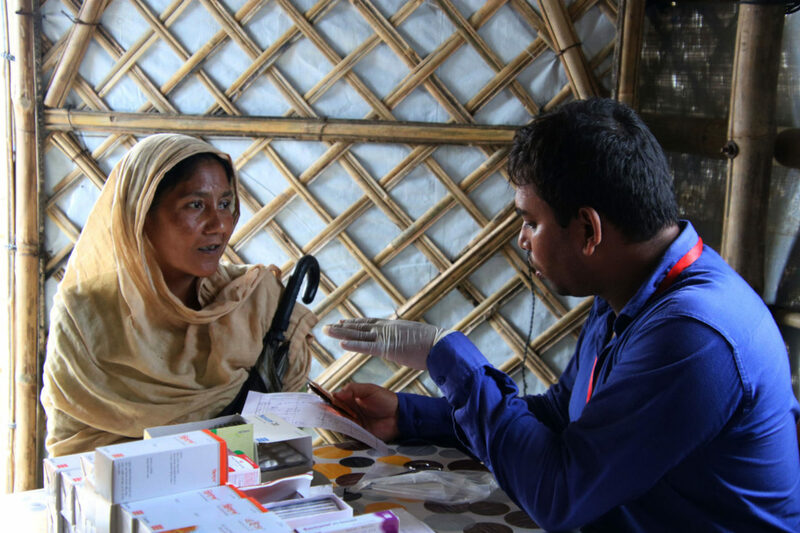 The compassion and care they express to the Rohingya refugees is absolutely heart-warming. Thank you, Jesmin. I couldn’t agree more.